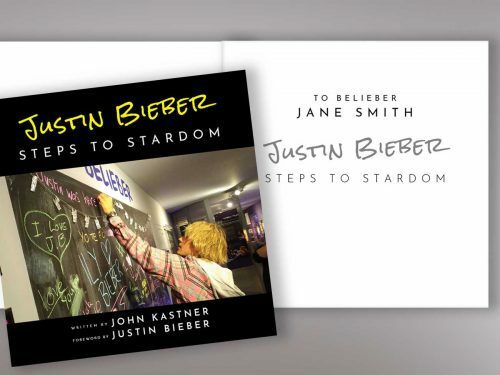 Grab your own copy of the highly anticipated book Justin Bieber: Steps to Stardom, addressed directly to you with your name printed right on the front cover! Shipping rates include customs clearance and guaranteed delivery to most parts of the world within 7-14 business days. Please note we cannot print customized text in foreign language characters. If you use foreign language characters, your order will be cancelled and refunded. 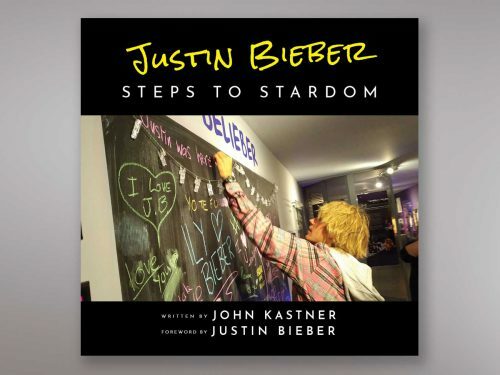 Grab your own copy of the highly anticipated book Justin Bieber: Steps to Stardom, addressed directly to you with your name printed right on the front cover! Justin Bieber: Steps to Stardom is a must-have collector’s item for Beliebers all over the world, and now you can have your very own personalized copy.